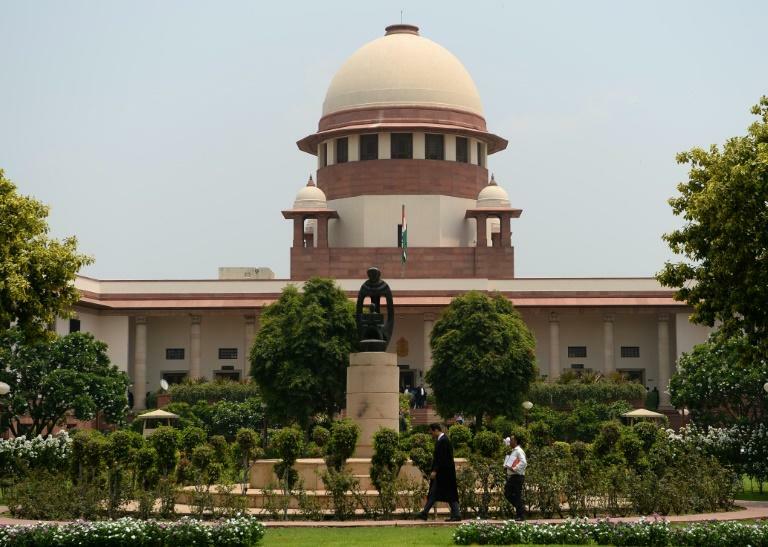 India's Supreme Court on Wednesday ordered five left-wing activists to be taken out of police custody and kept under house arrest amid widespread condemnation of their detention. Police detained the five on Tuesday alleging links to banned left-wing Maoist militants. Lawyers for the activists immediately took the case to the Supreme Court which gave Indian authorities until 6 September to respond to the challenge. Opposition parties and civil rights groups have accused the government of seeking to silence critics. And one Supreme Court justice, D.Y Chandrachud, said: "Dissent is the safety valve of democracy, the pressure cooker will burst if you don't allow the safety valves." The five -- communist poet Varavara Rao, human rights lawyer Vernon Gonsalves, writer and lawyer Arun Ferreira, journalist and activist Gautam Navlakha, and trade unionist Sudha Bharadwaj -- are all established activists some of whom have been detained in the past. The homes of other activists and lawyers were raided as part of the investigation. Five other people were detained in June. Police have been investigating violence between low-caste Dalits and upper-caste groups following a political meeting near Pune, in Maharashtra, on December 31 last year. "It is sad that the government is arresting people who have been working on human rights," Prashant Bhushan, one of India's most prominent lawyers and activists told journalists after Wednesday's court hearing. "The court asked that they be kept under house arrest until the government submit their responses for the next hearing," Bhushan added. Rahul Gandhi, head of the opposition Congress party led political condemnation of the arrests, saying the nationalist Bharatiya Janata Party (BJP) government wants to "jail all activists and shoot those that complain." Man Booker Prize-winning author Arundhati Roy, an outspoken critic of Prime Minister Narendra Modi, said the arrests were an attempt to muzzle freedoms ahead of elections next year. A small demonstration was staged in central New Delhi ahead of Wednesday's hearing. "We are here today because we are fighting against the fascist and imperialist policies of this government," Aparna, president of the left-wing Indian Federation of Trade Unions told AFP.